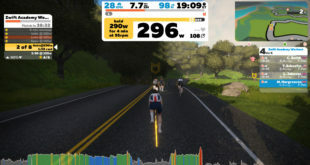 Online training platform Zwift has joined forces with the Organising Committee of the 2018 UCI Road World Championships as an official supplier to release the 2018 UCI Road World Championships Zwift course. The 2018 course will provide an “alpine flavour in contrast to the city centre location of the Richmond 2015 route". Zwift’s Innsbruck course is expected to focus on the 24km ‘Olympic Lap’, tackled seven times during the men’s road race and three times during women’s road race, which includes an 8km climb and passes through the scenic old town of Innsbruck, ‘Capital of the Alps’. “This has the potential to be truly groundbreaking for the national teams,” added Austria’s Bernhard Eisel of Team Dimension Data. “The lead contenders will certainly be performing course reconnaissance in the coming months, as is the norm. However, what is new is the ability to repeatedly train on a key segment of the course and understand when the best moments to attack will come. 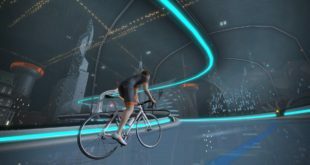 In the coming weeks, Zwift will announce plans for ‘pop up’ activations at Innsbruck during the 2018 UCI Road World Championships.